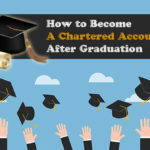 CA Final, just one more step to becoming a Chartered Accountant. 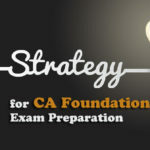 From the given page you can download your CA Final Syllabus for may 2019. 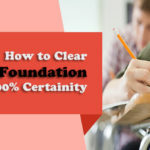 Each subject is equal to a CA final course in itself and you have to score 40% in each subject as well as 50% in aggregate of all the subjects. 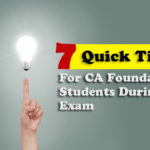 Besides the below-given syllabus, students should carefully note that relevant developments including the issue of Accounting Standards, Statements on Standard Auditing Practices, Guidance Notes by the institute, amendments in the legislation taken six months before your exam will be applicable in your attempt. Level of Knowledge: Expert knowledge. Objectives :(a) To gain a comprehensive understanding of all aspects relating to external financial reporting practices. (b) To gain expert knowledge of the professional standards, principles, and procedures of accounting, and their application to different practical situations. 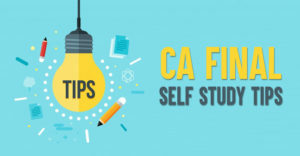 Accounting Standards and Guidance Notes on various accounting aspects issued by the ICAI and advanced problems based thereon. Corporate financial reporting – issues a, d problems with special reference to published financial statements. Consolidated accounts of holding and group companies. Accounting for amalgamation: Purchase and pooling of interests methods of accounting. Accounting aspects of corporate restructuring. Financial reporting in respect of various kinds of financial institutions like mutual funds, non-banking finance companies, merchant bankers, stock brokers. Valuation of goodwill and shares. Comparative study of basic concepts of international accounting standards, US GAAP and standards in India. Objectives :(a) To gain expert knowledge in respect of management accounting, financial planning and financial services sector in terms of products, procedures, markets and reg­ulatory framework. Project planning and capital budgeting: preparation of project report; financial projections; sensiti­vity analysis in capital budgeting; Impact of inflation on capital budgeting decisions, capital rationing, risk analysis in capital budgeting and evaluation of risky investments; social cost-benefit analysis; simulation and decision tree analysis. 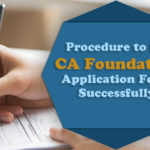 (a) Types of financing: project financing; intermediate and long-term financing; negotiating term loans with banks and financial institutions; appraisal of term loans by financial institutions in India, lease financing. (a) Introduction to the capital market in India includ­ing depositories. Financial services in India including merchant banking, portfolio management; credit rating agencies, consumer finance. Mutual funds: operations and regulations. Foreign collaborations and joint ventures. Introduction to international financial manage­ment including raising of capital abroad (ADRs, GDRs, ECB.). Foreign exchange exposure and risk management; foreign exchange markets and dealings therein. Money markets and their operations. Special Features of Financial Management in Public Sector Undertakings. Dividend decisions: dividend policy; its determinants. Objective: To gain expert knowledge of current auditing practices and procedures and apply them in auditing engagements. 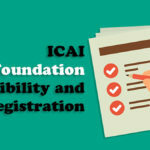 Evaluation of internal control procedures; tech­niques including the questionnaire, flowchart; internal audit and external audit, coordination between the two. Audit of limited companies: Statutory requirements under the Companies Act 1956; Audit of branches; joint audits. Concepts of true and fair and materiality and audit risk in the context of the audit of companies. Audit reports; qualifications, notes on accounts, the distinction between notes and qualifications, detailed observations by the statutory auditor to the management vis-a-vis obligations of reporting to the members; Special reports on offer documents. Dividends and divisible profits; financial, legal, and policy considerations with special reference to depreciation. 8. Special points in the audit of public sector companies. Directions of Comptroller and Auditor General under Section 619; Concepts of propriety and efficiency audit. Rights, duties, and liabilities of auditors; Third party liability – nature and extent. Audit Committees and Corporate Governance. Cost audit, Environmental Audit, Energy Audit. Certificates under the Payment of Bonus Act, import/export control authorities, etc. 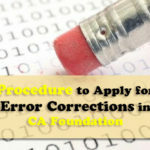 ; Distinction between certificates and reports; specific services to non-audit clients. Audit under different statutes, viz; income tax, other direct tax laws and indirect taxes. Special features of the audit of banks, insurance companies, co-operative societies and non-banking financial companies. Special audit assignments like the audit of bank borrowers, the audit of stock exchange brokers and depositories; Inspection of special entities like banks, financial institutions, mutual funds, stock brokers. 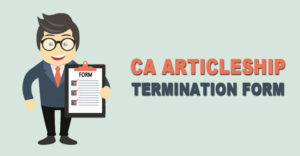 Professional Liability of Auditors: Code of Ethics with special reference to the relevant provisions of The Chartered Accountants Act, 1949 and the Regulations thereunder. Internal audit, management and operational audit: nature and purpose, organisation, audit programme; behavioural problems; Specific areas of management and operational audit involving a review of internal control, purchasing operations, manufacturing operations, selling and distri­bution, personnel policies, systems and procedures. Aspects relating to the concurrent audit. Audit under computerised environment: Computer auditing; specific problems of EDP audit, need for review of internal control especially pro­cedure controls and facility controls; techniques of audit of EDP output; use of computers for internal and man­agement audit purposes; test packs, computerised audit programmes; involvement of the auditor at the time of setting up the computer system. The Companies Act, 1956 (Section 209 onwards till end). The Foreign Exchange Management Act, 1999. The Securities Contracts (Regulation) Act, 1956. The Securities and Exchange Board of India Act, 1992, and Guidelines issued thereunder. Application of Secretarial Procedures and Practices. Rules of interpretation of Statutes, Deeds, and Documents. To gain expert knowledge of the use of costing data for decision-making and control, and emerging modern cost management concepts. Costing of the service sector. Activity-Based Cost Management, Benchmarking; Balanced Scorecard and Value-Chain Analysis. Transaction Processing Systems, Shared processing, Client server and server-centric systems. Management Information Systems (MIS), Executive Information Systems (EIS) and Decision support systems. Systems analysis and design: Tools & Techniques, detailed design specifications, and documentation; system testing; control over development processes. Implementation of systems: systems installation, system training, system conversion; post-implementation review. System Evaluation – Hardware and Software. System Maintenance – Hardware and Software including viruses. Computerised systems in Business Applications- financial accounting, management accounting and inventory control. Use of specialised softwares. Tools: Use of Simple CASE Tools, Analysis of Financial Statements using Digital Technology. Enterprise Resource Planning (ERP) Packages. Controls applicable to IT development, system maintenance and changeover. Information security: Importance and principles of information security, best approaches to implementing information security. 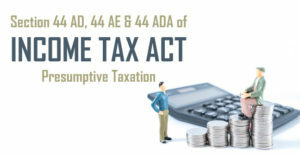 While covering the direct tax laws, students should familiarise themselves with considerations relevant to tax management. 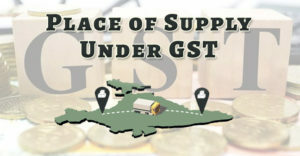 These may include tax considerations with regard to specific management decisions, foreign collaboration agreements, international taxation, amalgamations, tax incentives, personnel compensation plans, accounting and other precautions to be observed to maximise tax relief. reverse charge, refund, job work. relevant to indirect tax laws, and acquire the ability to analyze such concepts. 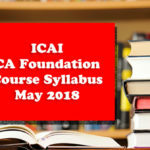 So, it was all about Ca final syllabus new course for may 2018, you can also download the PDF from given link.